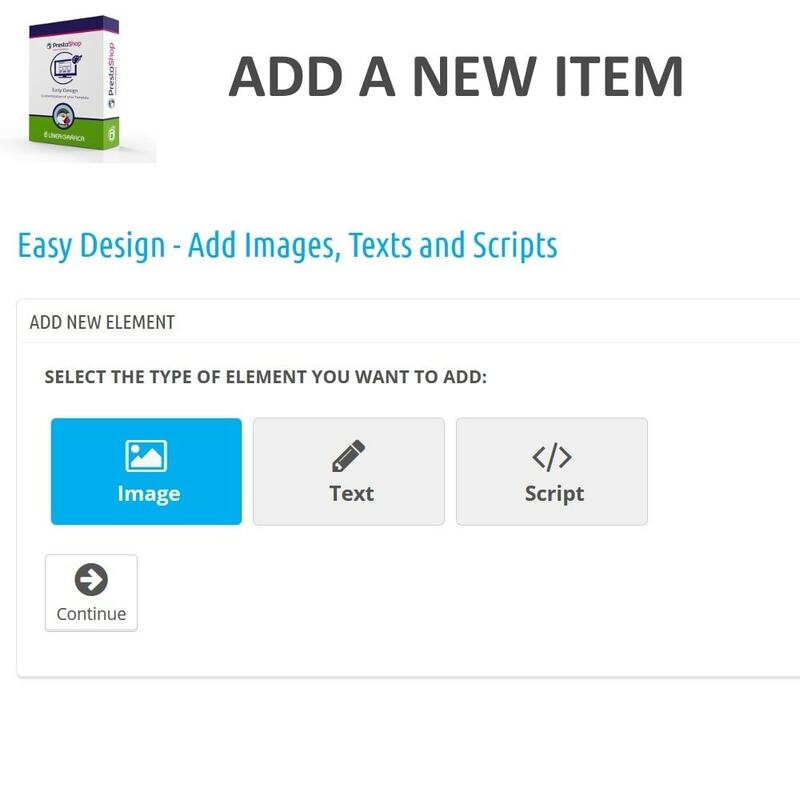 Our module doesn’t have any limits and allows you to easily customize your store by adding an unlimited number of images, texts and scripts. 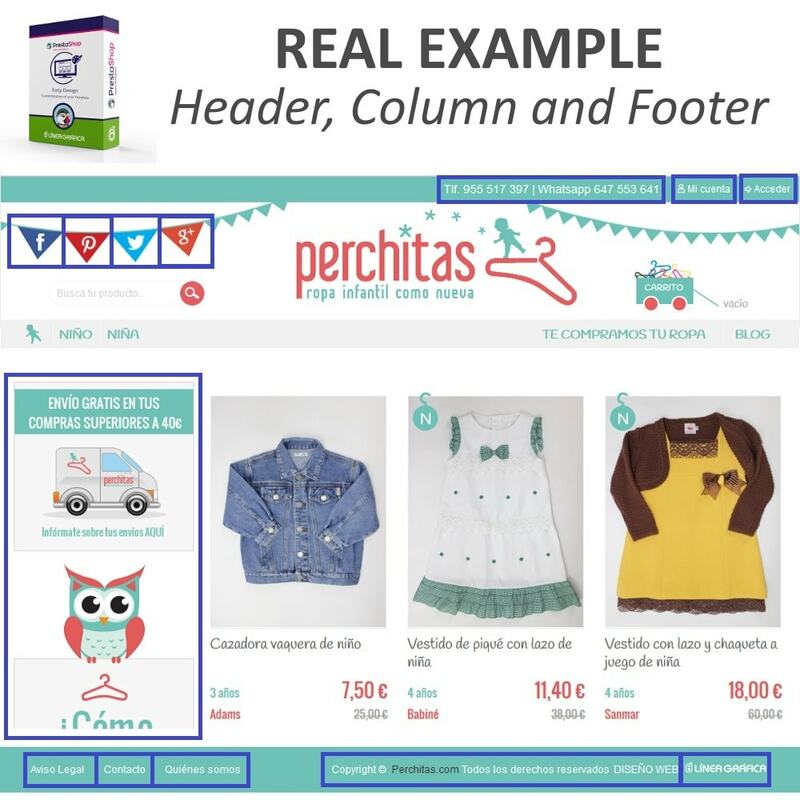 Start by choosing the container in which you want to place the element: header (hookTop), footer (hookFooter), homepage (hookHome), top of product pages (hookextraLeft and hookextraRight) or columns (hookLeftColumn and hookRightColumn). 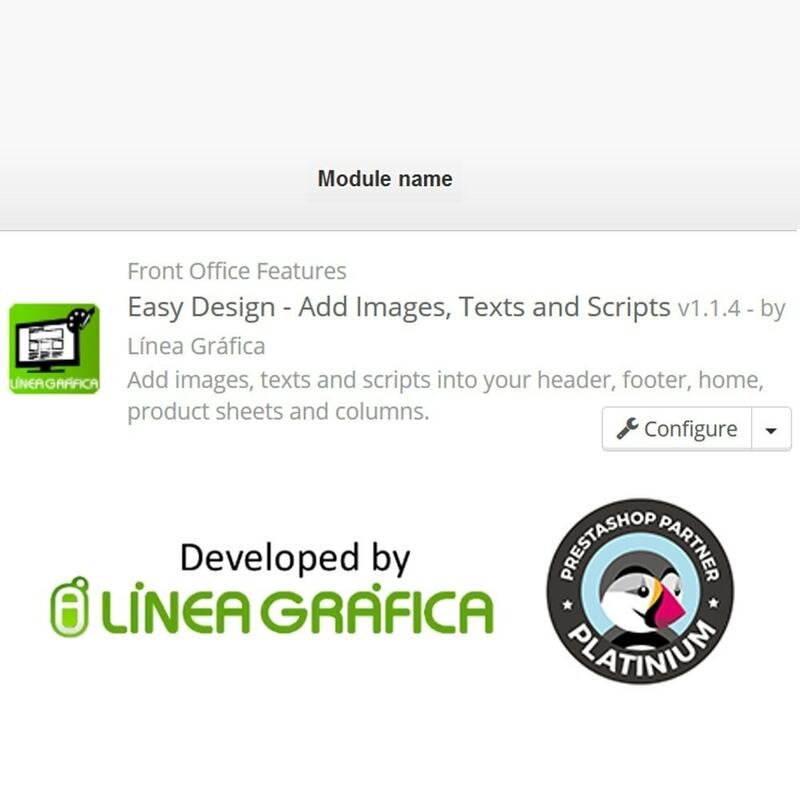 All the elements added with the module (images, texts and scripts) are added in the foreground (not possible to add elements in the background). Note: The elements are common to all pages. 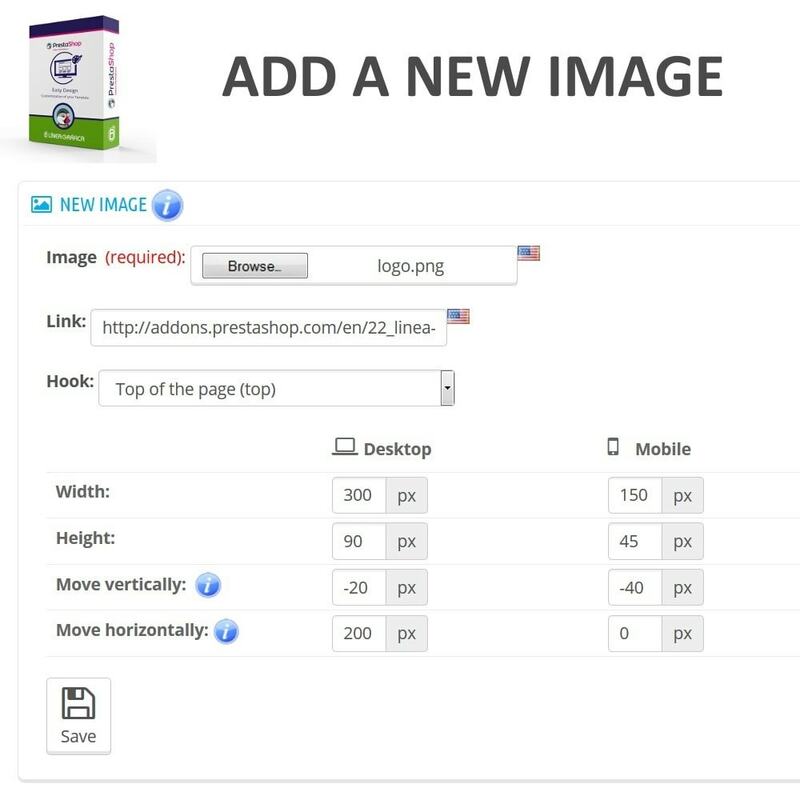 If you add for example an image on the top of the product sheets, this same image will be displayed on all the products sheets. 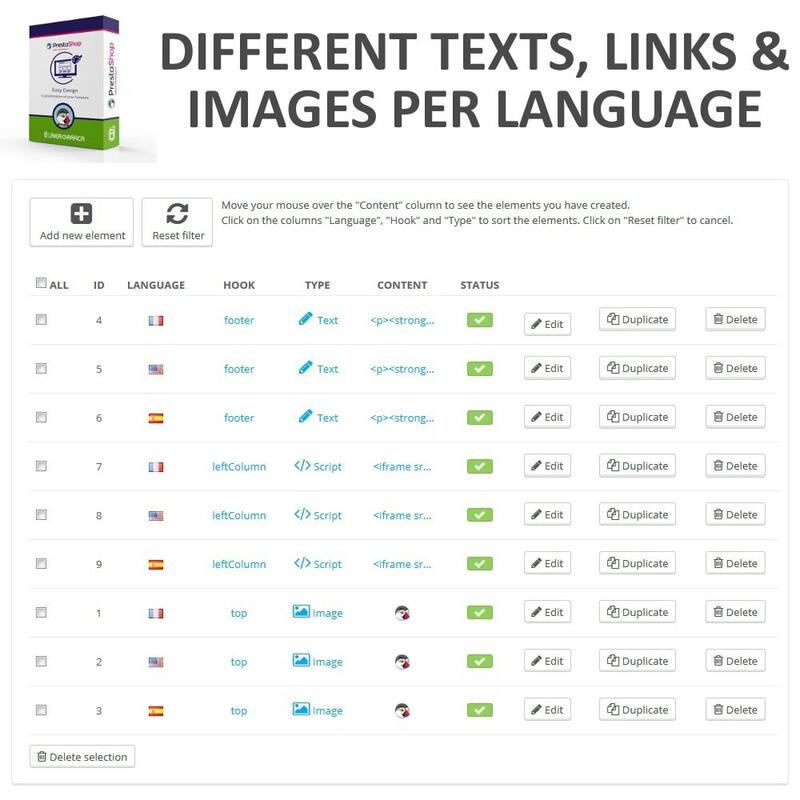 Our module automatically detects all the languages of your store and allows you to choose different parameters (position, text, link, image, script…) for each language. 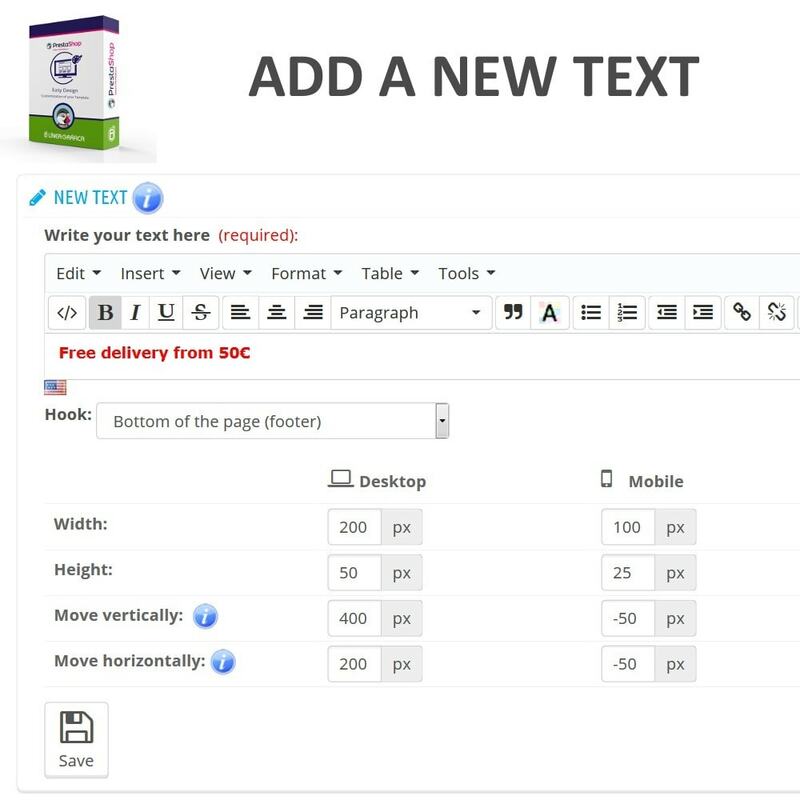 This means for example that you can insert a different text, link, image or script from one language to another in order to adapt the content of your website to your customers. 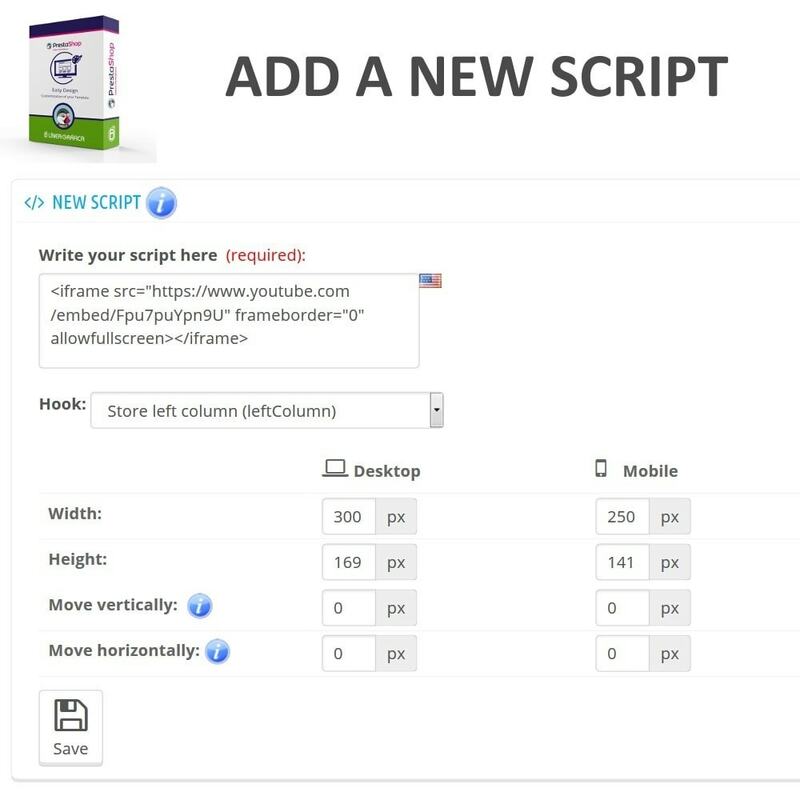 It is possible to use the module in multistore but the images, texts and scripts will be common to all shops, it is not possible to set different elements by shop. This module is made for both business and personal use. 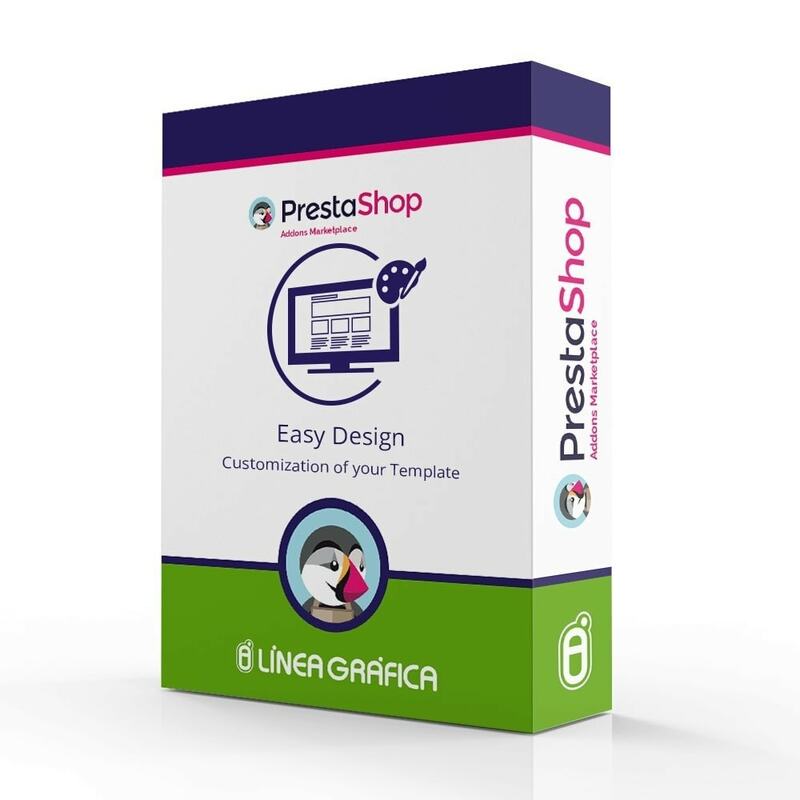 It greatly helps designers in their daily work and allows people who don't have any programming knowledge to customize their store without having to write a single line of code. 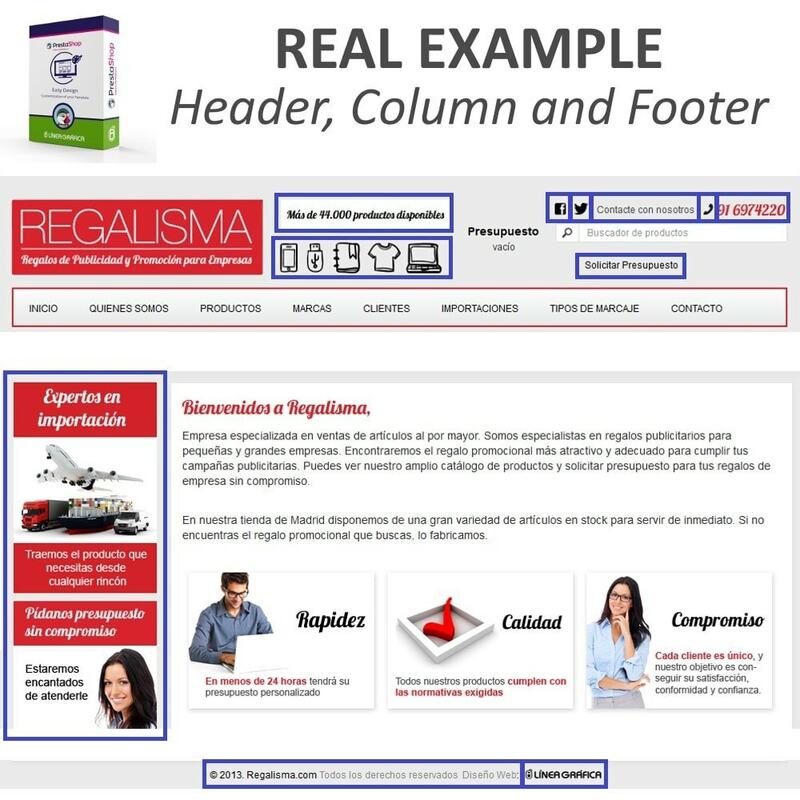 This module is perfect to fill the blanks of your header and footer, you no longer need to hire professional designers to change the design of your store, you just need to select the element and set its position.